Okay, that does it. I’m getting tired of the pervasive media articles that detail how people are “surviving” or “barely managing” on what qualifies as average or definitely median household incomes. This is like writing a articles about 5’10” guys who are “struggling” with their height issues complete with tips and tricks on how to cope with their shortage. Ha!. For the record, 5’10” is the average height of a US male. Fun fact: This is also the median, since there are few 12′ tall guys to skew the distribution. The waterfall that finally crushed the camel was this yahoo article which discusses how a single person “survives”is living well on $20,000/year, but that’s just one out of many. In particular, it followed an initial article on how a family survives on $40,000/year. This is pretty close to the median household income in the US! It means that about half of everybody, that’s 150+ million people, is currently living on LESS than those amounts. Surely, that’s no secret, and surely that’s not very remarkable either. Here’s an article with a family that’s struggling on $250,000/year. Poor guys! They spend more on cleaning services than I do on pretty much everything combined. Regardless of how much I made, I think I would pick up a goddamn broom myself before I started talking about my financial struggles. The gall! The media must be living in a bubble that is entirely separated from Main Street. Look, it isn’t that hard to find someone who lives on $10,000/year, or $5,000/year. I can even provide a couple of pointers to people who live on $0/year. (And no, they’re not living under a bridge). The problem is, and I think I get it now, is that the media is in the business of pushing content in order to sell ads, so they must write for the biggest common denominator. It makes strategic sense for a magazine to write articles about families who spend $48,000 per year and now struggle because they had to cancel their netflix subscription. Or for a magazine to write articles about families who spend a quarter million per year and now struggle because they had to give up their daily fireworks(*). People can sympathize with people who are similar to themselves and the entitlement-class always thinks they’re hard done to. So okay media, you are forgiven. (*) Thanks Mo! I’m stealing that one. It was just too funny. However, I still have a problem with the numbers. 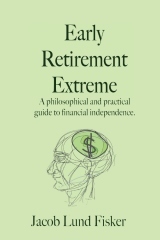 Back in the days when I started this blog, I made the mistake of calling it Early Retirement Extreme. The first problem was the word retirement which means different things to different people (see FAQ). The second problem, which is relevant here, is the word extreme. I get many comments from so-called complainypants that I’m too “extreme”. The extremeness seem to revolve around lentils and the low amount of money I spend, about $7,000/year. The second and more important aspect is the $7,000/year. The Wheaton Eco-scale explains this in a brilliant way. Consider people living at different budgets, e.g. $100k, $80k, $60k, $50k, $40k, $30k $20k, $15k, $10k, $7.5k, $5k, $2.5, $1k, and $0k. Now, what Wheaton observes is that people who spend one or two levels below you are inspiring to you in terms of budget reductions. People who spend three levels below you are slightly nutty and people who spend four or more levels below your level are crazy or downright extreme. This holds no matter where you are. If you spend 60k, then 50k and 40k is inspiring, 30k is nutty and 20k is crazy. If you spend 30k, then 20k and 15k is inspiring, 10k is nutty, and 7.5k is crazy. Conversely, people who spend a couple of levels above you are considered prodigal and wasteful. The problem is that budgets denominated in dollars are very one-dimensional. If you look at the article above of a guy who spends 20k/year—that’s almost three times as much as I do— while living in the same area (San Francisco bay area), I note that he does something I don’t (go to bars) but I have something he hasn’t (health insurance). Otherwise we have and do many of the same things. What is the difference? If I had to venture a guess, I’d say I’m more frugal (the way your grandparents were frugal—in fact what I do wouldn’t be considered very extreme by your grandparents or great grandparents—I’d probably be average from their perspective) and I adhere more to a do-it-your-self ethics. I’d also suspect that I’ve solved the housing situation better. On the other hand, he doesn’t have a car (but in San Francisco, that would be normal). What really is remarkable is the similarity in lifestyle despite the disparity in spending. I really hope that this is empathetically understood, especially by those who say they’re “not willing to be as extreme as me”—someone who spends 15-20k would be a typical example. What I hear is essentially that they’re not willing to learn how to stretch their dollars further. They’re saying that they’re not willing to get the same thing that I have for $500/month instead of the $1400/month they’re paying. They’re not willing to learn or to think beyond their current frame of mind. To be clear, the ERE efficiency strategy will get you a $20k lifestyle (if you’re single) or a $40k lifestyle (which is the median for a US family) for much less money down. Why wouldn’t anyone want that? Just about the only one’s I can think of who doesn’t want that are the corporations that prey on consumerists. I’m sorry, but I find this to be the most frustrating part about this blog or the ERE project as a whole. I may just be a very bad salesman. Now, just for fun, I’ll answer the same questions as the ones in the article above. Contrast and compare in the comments. Note: You can find a breakdown of my $7,000 budget in the frequently asked questions. I have been living on $5-7,000/year for about a decade now. This includes 5 years as a single and 5 years being married. I would think so. I usually go to the mall to perform a kind of an anthropological expedition once a year and I see nothing there which interests me. Really nothing. It’s mostly mid-range consumer stuff which will tragically end up in a garage or a landfill about ten years down the road. Except for the rare pick-up pizza, we do not get our meals out, mostly because I hate eating out. My wife cooks practically all of our meals. However, we do have many of the same things. We have internet, netflix, and a car (my wife drives it, I paid for half of its price and half of its operational cost in exchange for occasional rides). My computer is a seven year old 12″ powerbook. pasta with a sauce based on beans, canned tomatoes, zucchini from the garden, onions, and olives. I douse this with hot sauce. For some strange reason, I’m famous for eating lentils. I did that when I was in grad school because it’s quick and easy but since my wife took over the cooking and I took over the dishes and laundry about seven years ago, this doesn’t happen anymore. Practically never, by which I mean maybe once a year (usually socks and underwear). In the winter, I usually wear a suit+jacket and a Hawaiian shirt (can you tell, I got style) or even a dress shirt. I also have a pair of jeans and a couple of “participation” t-shirts. In the summer I wear a pair of white dockers shorts. A lot of my clothes (I don’t have a lot) is 10+ years old. The reason it lasts that long is that I line dry it. I will also wear clothes until it fails catastrophically (rips). I’m not opposed to Goodwill and Salvation Army, but usually they don’t have my size of pants, 33×34; sweaters and jackets last decades (my current one is almost 20 years old); and t-shirts are incidental. We’re both homebodies. When we first met, my wife’s friends dragged us out to a karaoke bar. We left after an hour and ended up back at my place—less noise, easier to talk. Our dates consisted of home cooked dinners. These days I suppose our dates consists of walking the dog. A lot of my stuff falls in the luxury category. For instance, the suit mentioned above is a $500 suit (I bought it on sale for $100). This may sound expensive until you realize that the suit is old and thus it holds up rather well. The amortization rate, that is, spreading the cost out over the years comes to very little. When I buy tools or other things to enjoy, I buy near the top (this is why the Mall doesn’t work for me). For example, I’ve acquired several $300 hand planes for my woodworking. This may also sound expensive, but realize that if I ever tire of wood working, I can sell those for close to what I paid for them. This makes them much cheaper than a $45 hand plane from the big box store. In fact, many of my hobbies are financed by selling my old gadgets. My one exception is my martial arts training. I spend over $1,000 per year on that or almost 15% of my entire budget. I do. I have a high-deductible health plan and an health savings account (for the tax deduction). You can read more about it in my post on how to find cheap health insurance without the need for an employer (something Americans have to worry about). What, do you mean if I suddenly needed to raise $100,000 in cash because there was a sale on real estate? Sure, I do. I’m financially independent. To me more money and higher incomes are more of a way of keeping score in the rat race and I left that race. Sure, I would like to have more money, because I like money and having more of it is nicer. I don’t find it worth the sacrifice and I only consider it incidental to the things I do or that I’d be willing to engage in. I would say in some respects, money does serve as a proxy for value. For instance, if we consider my book sales, I’m more pleased by the fact that people are willing to pay $10 to read my ideas than I am at receiving the royalties. I’ve been asked why I didn’t keep working in order to have more stuff or more “financial security” (I would have been a millionaire at 38 if I hadn’t retired at 33). However, I already have all the stuff I would possible want to spend my time taking care off (I don’t like dusting and organizing stuff), and beyond a certain net worth, more net worth does not protect you financially. In other words, if there’s an event (like hyperinflation) that could cause you to loose one million dollars, it could just as easily cost you five million dollars. Already did it. If one is frugal and don’t make the mistake of buying the two financial independence killers on credit, that would be “more house than you need” and “more car than you need”, and pay a little extra instead of the “buy and throw away” merchandise in the mall, even an average salary (which I had) will allow a person to become financially independent at a rather young age. You don’t need a six figure salary to pull it off. Do you have any advice to others trying to live on $7,000 a year? Yes, read this blog or just ask your grandparents. $7,000 for one person, which translates into ~$14,000 for our two person household (which is located in a city with a cost of living index of 131) seems extreme today, but if you go back 50 years and compare how people lived back then, it isn’t all that impressive. Furthermore, by many accounts people were happier back then. They weren’t zooming around trying to buy the newest cell phone model or waiting for the waiters in order to eat, and stressing out about their resumes in order to keep living their leveraged and amped up lifestyles—if you call that living. Okay, I rant, but from my perspective, my lifestyle is the sane choice, and it’s everybody else who’s extreme. 162 users responded in " How I live on $7,000 per year "
@Hummingbird – You sound like a typical consumer who lacks imagination when it comes to doing things without spending money. What if I want to play a round of golf or 2? 1. If you bought a new RV with your half-million nest egg, it’s not honest to only count the trailer park lot rental toward your expenses. We can’t all just have nice RVs drop from the sky. 3. You need to better explain the “$500/month rent plus utilities”. My daughter pays over $700/month for a small apartment she found through Craigslist in a semi-run-down residential neighborhood on the outskirts of a college town in middle America. Maybe an RV rental space alone in the outskirts of San Francisco is $500/month. But that requires owning an RV. Something doesn’t add up. Maybe you live in a trailer park plagued by meth dealers? 4. $75/month for “high-premium” health insurance? It must be nice to be young, healthy, and have the freedom to be active all day. Most of us don’t have those luxuries. 5. Food is $100/month? You got to be kidding me. Most of us spend that much a week. And if you live in an RV park, pray tell where do get all these free home-grown garden vegetables? Most of us need to own land for that. And the time, money, skill, and water required to cultivate a productive garden aren’t free. 6. If your wife takes the car to work every day, you’re stuck home alone all day without a car. That doesn’t cut it in most places in America where public transit is slow/unreliable/nonexistent and the climate is harsh much of the year. Maybe you can take the city bus across town, but those of us who have to work don’t have the time for that. 7. So you buy expensive power tools, somehow sell them in used condition years later for almost their asking price…and don’t count those in your expenses? Something doesn’t add up. If you have great skill as a salesman, maybe you can do this. But we all don’t have that. Most of us can expect to get 50% at best from the sale of gently-used goods. 8. So you don’t want kids. That’s nice for you. If everyone felt like you, the human race would be extinct within a century. Some of us dedicate our lives not to penny-pinching, karate chops, and other adventures…but to raising the next generation – whether our own genetic offspring or others (adopted children, stepchildren, etc.). We’re changing the world, impacting lives, sacrificing our own fun to serve others. And it’s not cheap. Kids don’t learn in underperforming “ghetto” schools where under-qualified teachers can’t control classes and students don’t feel safe. So now you need to try to live in a better school district. See #1. Living costs skyrocket as the quality of public schools improve. And you’re talking about 2 cars, more food, more clothes, more utilities, more health care, etc. You want the cheapest arrangement of all? Move home with your parents. Rent is $0. Many parents of adults in America have spare bedrooms (empty nests). You could probably live for less than $7,000/year and be a lot safer and happier. I think it is possible to live on 7k a year. Get a hobby that you’ll love and make money from (raising chickens for eggs or honey bee keeping). Each takes about 500 dollars to start up but you’ll make up your money in a year. Then there are all the free produce markets available even to people who are not indigent. Nice selections and free weekly. Saving up to 150 a month for myself. My greatest expenses are utilities, insurance companies and prescriptions. But 2015 I hope to live on 10k or less. Using habitat for humanity stores for any home repairs. One of the things that struck me is that Jacob says that this is how “our grandparents lived”. He’s right for me, because my grandparents lived in a third world could try where food is 40% of a budget. Is he right in the us, because of the depression? or the industrial revolution, plastic from China, produce from overseas? I’ve been doing ERE for longer than Jacob (20 years), though I have less saved and only achieved FI 5 years ago. But because I have enough to generate twice my annual expenses, I can’t convince myself to be as frugal as I once was. Food, for example: I spent an average of $100/month, rarely eat out, garden. If I cut out meat and fish, I could slash that in half, but that $50/month is an amount I can generate with fun work and instead i fight my ingrained frugality to buy premium items. Fennel was a recent example, it never seems to come on sale and one bulb can provide 4 salads. Its probably no healthier than an onion, but its a very cheap happiness. We’ve also recently been having heating fights. 3 degrees means “so cold I won’t leave the bed for more than 10 minutes”, which is just not worth the $100/month savings.